Hi Christiann Stoltzfus, my husband and I wanted to let you know how Bethany is doing. We have named her Maggie Mae Izotic and she is the most loveable puppy. She is very happy and healthy and loves her new sister. Thank you so much for starting her life with so much love. We knew she was well taken care of. She is very smart. She is potty trained and learned the command sit. We are so happy we made the long trip to meet her and bring her home with us. Thank you from the bottom of our hearts! Before finally choosing our little girl! I must say our experience with the Shirls and Greenfield was wonderful! Little Lyric is an absolute joy! Beauty and brains! She’s so smart! We are extremely happy with her and we would highly recommend Greenfield to anyone looking for a happy, healthy, we socialized puppy! It was an awesome experience. 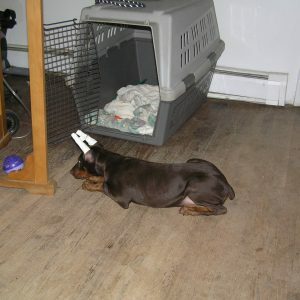 We were searching for a dobie, after lots of searching and finding nothing, I came across this website. I was very impressed with the professionalism and the Breeder was so responsive. 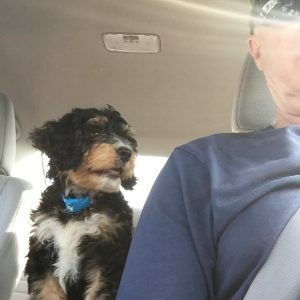 We drove from Maine to Lancaster, PA. We went to meet the puppies and then stayed in a hotel and picked our Baxter up in the morning for the trip home. He has been a joy ever since. I will definitely come back to this site should we decide to increase our family again. 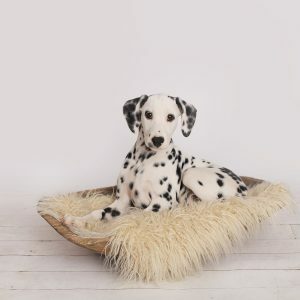 We were looking for a Dalmatian pup. After searching here in Canada, we gave up hope trying to find one. 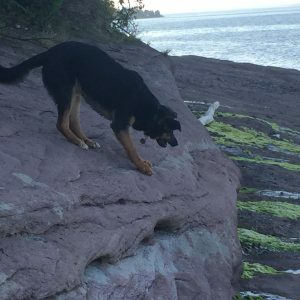 I decided to venture across the border and see if there were any pups available that were close to Southern Ontario. I happened upon the Greenfield Puppies website. First I have to say I love that you can look for your specific breed. 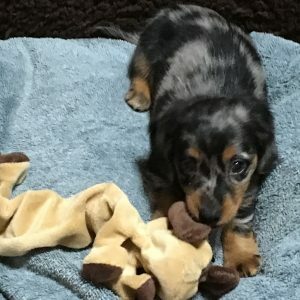 So many websites show breeders with pups available, but then you click on the site and it was from 2015, so frustrating! We saw some pictures of some pups located in Strasburg, PA. It just so happened that we were travelling to Adamstown that weekend for a weekend away. The pups were only a half hour away from where we were staying. I contacted Mike, the breeder and we set up a date to meet. We arrived at a lovely farm up on a hill, what a view this place had! We were greeted by Mike and five little wagging tails. We instantly fell in love, but knew a pup had to pick us. Mike was so patient and understood that having a pup pick up was very important. We had a great chat with him and played with the pups for over an hour. We got to meet Mom and Dad as well. There was one little girl that just kept coming back to us, we knew that she needed to come home with us. I must say after reading some rather bad reviews, I would give Mike five stars. All of the pups were happy and healthy. They were bright and clean and ready to play. They all had an affection for Mike, and followed him wherever he went. The grounds were clean and well cared for as well. Our pup had all of her current shots and had been dewormed. She is healthy and happy and adjusting well to her new life in Canada. We are so happy that we decided to meet Mike and his pups. His patience and understanding were very much appreciated. I would highly recommend him to anyone looking for a Dalmatian. Hi, In October of 2016 we lost our Standard Poodle Zeus. I knew that we would always have at least 2 dogs so I didn’t want to morn long over the loss of Zeus. 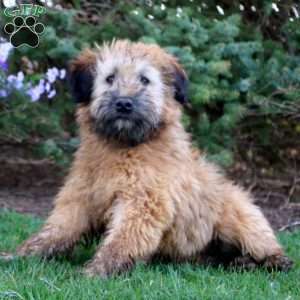 I instead started looking on the net for a nice diversion and found Greefield Puppies. There we saw Carramia and fell in love. She was/is beautiful. We called the breeder, John King in Pennsylvania, and left New Jersey to see her. It was a ride but well worth it. John King is a very nice man and he went to bring out our girl. Oh, was she stunning and prettier than in her picture. She was friendly, and she came to us to be petted and doted on. What a find! It was obvious that John had his pups well socialized. She gave us kisses and went to my friend Joe for more attention. John explained the paperwork, and we read and signed the papers. We were now the proud owners of a Beautiful Doberman Pup! That was a year ago this month, Halloween to be exact. She turned out to be one of the best dogs we’ve ever had. She gives kisses, hugs (if you can believe that); she stands up, puts a paw on each shoulder and give loads of kisses. We encouraged it and now when we say “Give me huggems” she does this. John, what can I say about John Miller other than he has wonderful dogs/pups and he is an honest man. He loves his animals and it shows. Thanks John for a wonderful addition to our home! Be Sure of What You Are Getting – Extend Trust, But Verify the Information! Fast Forward to today: As I am writing this, my big guy turns 2 years old in about a month (his litter birthday listed as October 28, 2105). We wouldn’t trade him for anything or anyone! He is the most loving, people-friendly, and even-tempered dog I have ever had, and he’s gotten quite a reputation and following in the neighborhood – everybody knows him, and many people will specifically take their daily walk past our house in the cul-de-sac, always taking a few minutes to stop and say “hi” to him on their way through. He really does stand out – whether on his own or with others, and one of the main reasons for that is his sheer size and mass makes you think he’d be less affectionate and more aggressive. Which brings me to my main problem – We asked for, and were sold, a puppy listed as an American Labrador Retriever, Black with dilute recessive d gene (A so-called “Silver Lab”). And – I fully understood the risks and such associated with the particular dog breed. I expected that a mature adult American Labrador Retriever would weigh-in at around 75 or 80 pounds at a maximum. Now, at 18 months old, you cannot convince me that this dog is an American Labrador, although he clearly has Lab in him. I am personally convinced that he is actually a Mastador – a lab/mastiff mix that’s been around for many decades (Disney’s Old Yeller back in ’57 was a Mastador). Why? Well… For starters, at his vet visit today, he weighed in at 161lbs. He is still growing at a rate of about 3-5 pounds a month. From his withers, he measures 28” high and 28” long. Plus, he’s got 43” chest circumference and 24” Collar Size. Ultimately, as he has matured, his features have grown to resemble the pictures and descriptions of the Mastador breed appearance with almost perfect representation – right down to the sheer size difference and characteristic head shape (wider head, shorter snout than Lab). And – perhaps as more proof, he has a thicker, coarser, and more darkish “Mohawk” looking fur line that runs down his back and is very noticeable as his excitement level grows and that hair begins to stand up. This is usually when he is excited, his bark vocabulary is noticeably varied depending on his mood or state of mind, which is also characteristic in Mastadors. 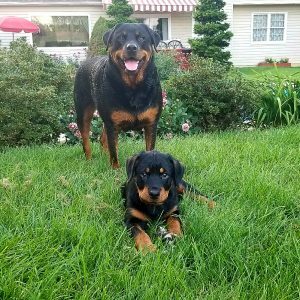 The pic I posted with this is him at just 13 months and already north of 120 pounds, with his favorite 5 year old playmate behind him. On Saturday afternoon September 16 2017 my family drove out to Wooster Ohio to get our new puppy. 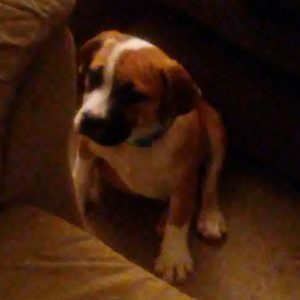 He is a beabull dog he’s smart and he has three other siblings that still need a home. Nate Hostetler was awesome and patient with me if I had the room for another one I would get another one. This past Thursday we drove to Drumore, Pennsylvania to bring home our male nine week old German Shepherd puppy named Gus, now we call him Dillon. We had not seen him in person, but had talked to his breeder Amos Glick by telephone. Amos was so helpful and friendly and a pleasure to work with. He stayed in touch all the way. Our puppy is beautiful, friendly and smart. Everything you could wish for in a puppy and Amos was a wonderful man to work with and he has a lovely family and farm.. If you are looking for a German Shepherd puppy, find one of his puppies on this website and give Amos a call! We bought Moses from the sweetest couple in Bernville, PA. I want to thank Jen Miller and her husband they had the most amazing patience with me and my family. I mustve called her about a 1000 times within that week looking for a puppy. She was very honest and told me which puppy my family would like the most and she was ABSOLUTELY right. We went to see 3 different puppies and as she said over the phone I fell in love with MOSES. Moses is a miniature australian shepherd he is so sweet and very playful. He loves playing with my kids . I can’t wait for our new bundle of joy to arrive and meet him. 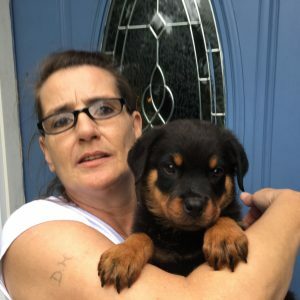 I tell all my friends and family how AWESOME Jen was and tell them if they are ever looking for a puppy that they should look on this website and search for Jen Miller , she is amazing. i absolutely adore Tara Coman. she is the breeder we brought our Shiba Inu pup from. from the moment that i contacted her about the puppy she has be very responsive. sending pictures and videos, and also just answering any general question i had no matter how stupid it may have sounded. (Even now that i have the pup) i really commend her for her professionalism and just everything. she really did try her hardest to work out an agreement with me. from the conversations we had daily i can really tell she cared more for the pup then she did for the money. i can assure you that we love this pup with all our heart and she definitely came to the right home. i just want to say again and again how much of a blessed and generous soul Tara Coman is. I adopted the sweetest little Bichon pup from the Riehl family in PA. The pup was well cared for, sweet and just adorable. The little guy is very gentle and you can see how well he was loved. 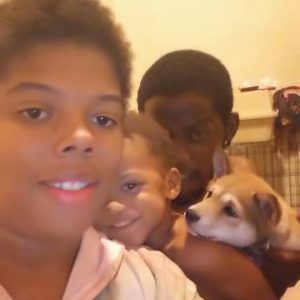 The family was very kind and friendly and made this a wonderful experience for myself and my children. 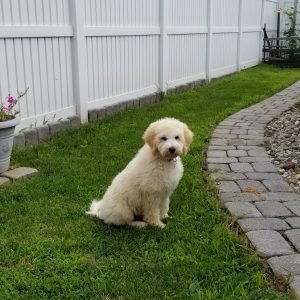 I would highly recommend this breeder and could not have asked for a better experience. We recently brought our new mini Bernedoodle into our family through a breeder in MD named Abner Ebersol. When we visited the faculty we met a group of dogs that were very happy. It was easy to pick out Louie as he took to us right away. This breeder’s facility was a real good home for the pups and the mom and the dad. In addition, Abner was a pleasure to do business with, and a man of his word. Thanks for making our puppy search a pleasure Greenfield! 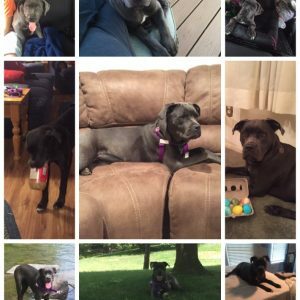 September 5 2016 we welcomed a 12-week-old beautiful blue Cane Corso puppy into our family. We just love her so much; Debbie (now known as Chloe) has brought so much happiness to our lives. She is defiantly is a mommas girl and has to go everywhere momma goes. We haven’t had a puppy in a long time and I was so worried about training but she did great with her crate training and was completely potty trained within the first 2 weeks. She was a little 18-pound peanut when we brought her home now she is 80lbs and still growing. Over the first year Chloe has learned how to swim and loves the water and we love playing with her in the water, she enjoys going on hikes and walks. Chloe loves to playing outside, playing tug and rolling in the grass. Fetch is still something we work on, she likes you to throw the ball or stick and she will bring it back but wants you to chase her with the stick/ ball in her mouth. Her favorite toy is her Acadia Moose Antlers, tennis balls and sticks. 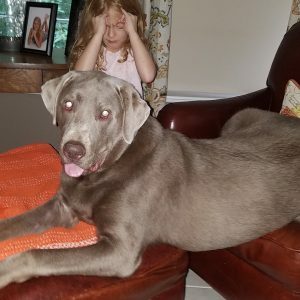 She loves eggs, puppy treats at mommy’s favorite coffee shop, fruit cups from Chick Fil A and fresh fruit, watermelon, blue berries and oranges are her favorite Chloe adores kids and loves to go to the bus stop to see her human siblings off to school and greet them when they get home. She loves to snuggle and thinks she can fit in the tiniest spot on the couch and always has to be touching mommy when its bedtime. She truly is a gentle giant. I can’t believe today marks one year since he brought her home. She has brought us so much happiness and joy. I cannot wait to see what the futures holds and what new things she will learn. Thank you to Greenfield puppies for bringing Chloe into our life. I found Hades ( formally Sonny) last Thursday and picked Him up Saturday, Mr Glick the breeder, was a very nice man, and I was very impressed with the puppies, they looked very good, I lost My Boy Maximus in July, and was not sure I was ready yet, But one look at Hades and I was hooked, I recommend This Breeder to anyone looking for a Rottweiler Puppy, If I ever decide to get another puppy I will be going back to This Breeder, My experience was 100%, attached is a photo of Me and Hades, I can’t picture My home without Him now. 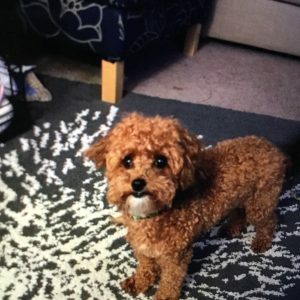 We bought Deidre (now Kajsa) a Bichpoo (9 weeks old) in June 2017 from Linda and Laverne Shirk in New Holland, PA. She is a very affectionate fireball and we love her! There is no fear in this dog, she loves to actively play with other dogs no matter their size. She does not bark and she runs with the speed of light. Kajsa is extremely affectionate and attentive to people. In other words, this dog is loads of fun to be around! I can highly recommend the breeders; Linda and Laverne. Kajsa is now almost 5 months and is a very healthy and happy puppy! After being discouraged by several scams online, I discovered Greenfield Puppies. I fell in love with a pomsky Sammy, and contacted the breeder, Jake Blank. Jake raises the puppies at his home allowing the puppies to exercise on his beautiful property and play with his young children. Jake was wonderful on the phone to,speak with, several times. He took the time to answer my questions & was direct & honest. He held Bentley for 3 weeks for us until we could come in person to pick him up. He cares for his puppies and for who purchases them as he wants them to go to a good home. He took pride in sharing photos of people who had purchased his pups, and the letters they sent him. I would highly recommend Jake Blank. It was a wonderful experience every step of the way! Although we enjoy our dog, I would never buy again from Sadie Fisher in Paradise. She is a fraud. She would not let us view the parents at first visit. She told me she had a vet coming out, but never had vet papers to show when we came back for second visit to pick him up. She claimed the vet never left her papers, however showed us an index card of shots she gave him. She let us have a quick glance of the parents at second visit and claims this is a havapoo. I am going to have a DNA test because when we left she asked how my son does around Yorkipoos with allergies. She wasn’t very sure he was a havapoo. I would never ever recommend her. I will check the site to be sure my testimony is recorded for others to know about her. 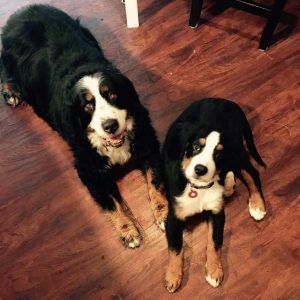 Hi, I recently purchased a Bernese Mountain Dog from Lisa Esh. We absolutely adore him. he was born 4/11/17. I’m trying to contact his littermates, possibly via Facebook or phone. Im wondering if they live near me for puppy visits etc. 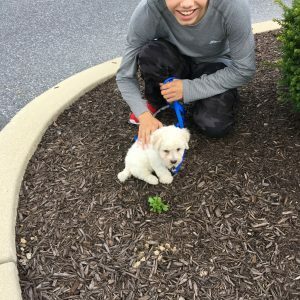 I am a new puppy owner and could not have been much happier with my experience through greenfield puppies! My golden labrador, Ollie is my most prized possession (as every dog should be) and I have Greenfield Puppies to thank for this. He is so well mannered, calm and has already learned his name, is potty trained and knows several commands! This gives me confidence that his breeder, Levi King bread well mannered dogs that made a great puppy! Greenfield puppies made contacting Mr.King very convenient. I went to see him two days after contacting him. He was very nice, and told me it would be okay to come and see the puppies. His son was actually the one who greeted us (about 11-12 years old). He was very kind, new about his puppies and was very understanding. Because we were going out of town we looked at him before we left and I forgot my deposit money! I told the boy after we picked out the puppy i liked, and he said he would talk to his mother. She said she would hold Ollie until we got back from vacation. After vacation, we drove up to PA and picked up our pup with no problem. We were given our Greenfield Puppy official paperwork and the vials of shots he had received. We paid and thanked the kind family with no issues and I am glad I clicked on the YouTube add for this website! Would definitely recommend getting your fur baby from here because I can say that from reviews and experience, the breeders are reliable and all around great! This is not computer generated and this is a true story, I know sometimes reviews aren’t always real but this one is!!!! I got my GSD/BMD mix puppy the first week of March 2017. I am writing to say what an excellent growing puppy he is. Friendly, huge, playful, and loving. But I want to share a special story that shows what kind of character he has, which says a lot about the breeding and the parents: I just returned from a week in Maine with Nash; one day I foolishly decided to go to the rocky beach bare footed; I made it almost to the water’s edge when I lost my footing; in trying not to fall I injured the soless of my feet very painfully as I crashed to the rocky beach; I could not move I was in such pain; Nash saw me and ran over to me, right next to me (he is about 70 lb at 7 months old); I hung on to his neck and slowly pulled my self up; he never moved an inch; it took a while but I finally was able to pull to a wobbly painful stand by holding on to him’ but I could hardly walk; Nash stayed next to me and I leaned on him until we reached safety. What an awesome dog, so big and gentle and with such guardian instincts. This is a quality pup from a quality breeding and good early life experiences. I am happy I chose a Greenfield puppy. Remember also, I met the family who bred and raised him, and the mother dog who had a friendly temperament before I chose him. I made the right decision. After many months of looking for a Jack Russell puppy on Long Island on line, in pet stores, and in rescue pounds we felt we were lost finding a young Jack Russel puppy for our JRT “Clover” who had just lost her best friend, a shorthair pointer who was very sick and had to be put down. Both Clover and myself were heartbroken. One day the “Greenfield puppies” magically appeared on my computer after months of searching. We loved the video’s of the puppies and loved the idea of talking to the breeder. We explained we could not pick up our chosen JRT Rosie immediately but could do so the following weekend. Ruth Hollingshead suggested we send a deposit to guarantee the availability of the dog. The next day the check was in the mail, and the following week we were out to get our baby “Rosie”. Paperwork came with the dog indicating any shots the dog had and what was suggested. When we got Rosie home she was greeted by our JRT “Clover”. She is a clean dog and learned quickly to do her business outside. This was truly a wonderful find for us and now “Rosie Fritz” has found her forever home and made our life and Clover’s life a home. We picked up “Flinn”, now McQueen, almost 1 month ago…and it has been one amazing month! After searching online, we came across “Flinn” on Greenfieldpuppies.com and fell in love immediately. We drove to Winfield, PA from New Jersey to meet with Andrey Koslov. It was great dealing with Andrey…he was informative, friendly, and he even let me meet “Flinn’s” mother! McQueen has been doing great! He is happy, healthy, and is great with other dogs and children. I cannot thank Andrey and his family enough for providing us with the perfect pup!